Honestly, I researched small sustainable home building options for three years and was not sold on a yurt until I realized the fabric kits are the least expensive and fastest way to build a home. That was 2008 August. Architectural plans, finances, property construction, etc. caused me to store the yurt until I moved in 2009 April. My new home was erected in three days. This is 2010 February (almost a year of yurt dwelling) and I just recently completed this fabulous book. 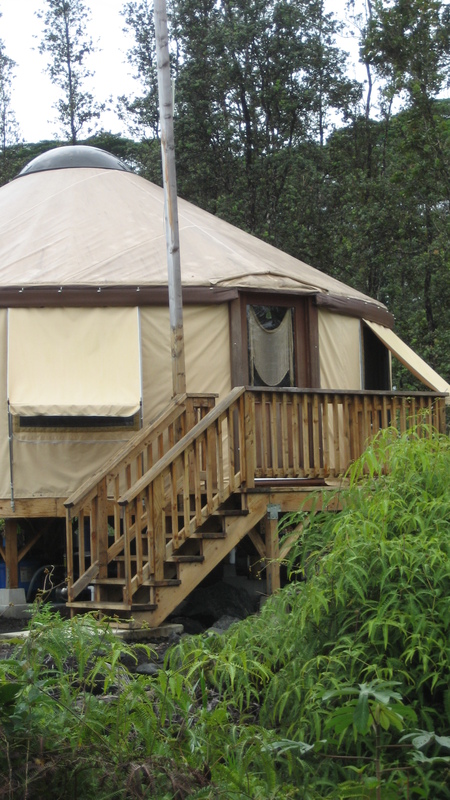 Read rave reviews on Amazon Books from people who may have never stepped into a yurt. 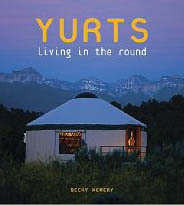 They express how wonderfully written this book, YURTS Living in the Round by Becky Kemery, is. I’m here to tell you it is also excellent from an existing yurt dweller’s perspective. Of course it would be wise to read this book before constructing a yurt, but my point is that this is priceless information either way. Author Becky’s thoroughness with excellent photographs is amazing. Hard to believe anyone knows more about yurt living than she does and I can’t think of a detail she’s omitted. In fact, I am surprised building codes are addressed because it is such a complex issue, but the fearless author does. Yurt living does attract off-grid and nomad types, who aren’t so unique these days. As author Becky emphasizes, round living creates a magical connection to nature. Some may interpret her comments and inserted poems in the book as religious, but it is spiritual, and there is a difference. Due to the unique round living positive energy, I can’t imagine returning to a rectangular or conventional home for the rest of my years on Earth. Becky expresses such sentiments beautifully. I am Delia, I established myself as an eco fashion guru by learning "who makes what in the world of environmental fashion and design." Enjoy reading some of my freelance writing about environmental design, fashion and art -- from both consumer and supplier perspectives. You may notice I focus most on individual eco designers, movers and shakers.